One of the largest UK phone and telecom retailer CarphoneWarehouse has listed it for £529.95 with free UK mainland delivery. Which is around £35 more than the price offered by UnlockedMobiles. I know more people will say it is better to get the hot waterproof smartphone from CarphoneWarehouse rather than buying it from somewhere else. Amazon is taking pre-order for this phone but the price is sky-high which is more than £600. But the lowest price for the SIM-free and unlocked Galaxy S4 Active is £486 from Clove. This rugged device is equipped with a 8 MP camera which is lower than the flagship’s 13 MP. Comes with Qualcomm APQ8064T Snapdragon 600 quad-core 1.9 GHz processor and 2GB RAM. But gives you the ability to take picture under water which the Galaxy S4 can not by itself with Aqua Mode. Samsung’s flagship device Galaxy S4 has been sold 20 million units after the release. It is quite nice sales figure for the latest and fastest smartphone. 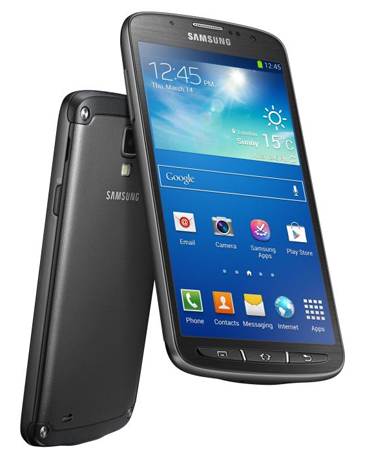 You can find the full specification of this waterproof Galaxy S4 Active here.